We had the rabbit stew and the Waterzooi. Both came in big pots accompanied by golden, crispy chips, clearly made from real potatoes. The bowl with chips was refilled by our waiter as soon as they got a bit low, which was too much in the first place anyway. 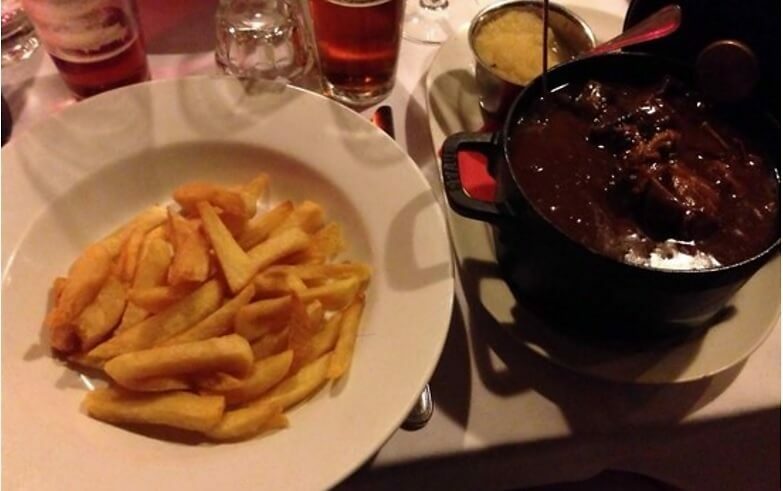 The rabbit stew is slow cooked so the meat falls off the bones, with rich dark gravy out of prunes and dark Flemish beer. The result is a very good combination of sweet and savory. The portion is huge considering they used at least half a rabbit. On the side we had a fabulous apple compote. 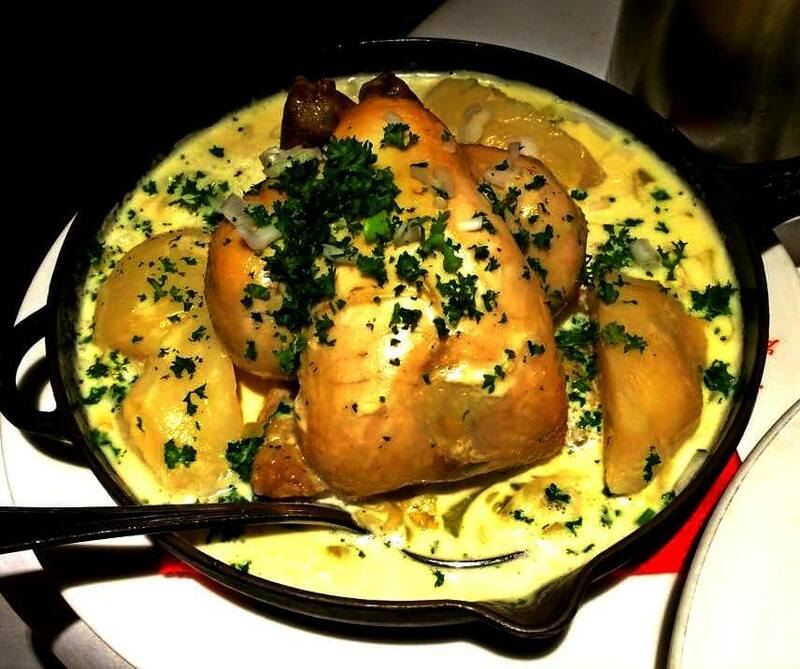 The Waterzooi (no translation for this) is a traditional creamy white stew with carrots, potatoes and celery which is usually served with fish but at Vlaamsche Pot you can get the chicken version as well. Again, the portion is very generous to say at least, bearing in mind that they use a whole small chicken for it. We couldn’t finish our portions so needless to say that we had no room for desert; we heard they do the best waffles and pancakes in Bruges. The service was ok, not great but not terrible either. The prices are reasonable for Belgium. I think we paid less than 60€ for two stews and a couple of beers. 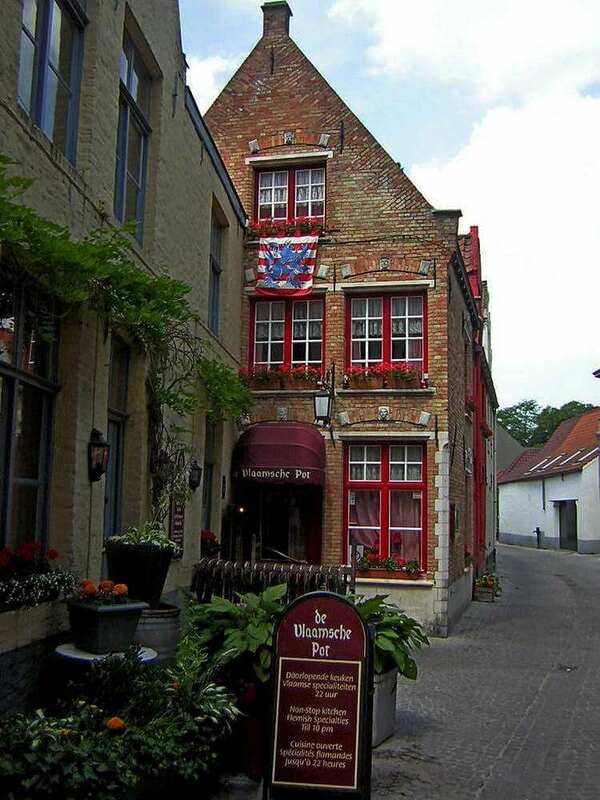 Come to this restaurant if you want genuine Flemish food in large quantities, but make sure you reserve as the place can get crowded.